The SFHA’s survey to investigate how the proposals to limit Housing Benefit and the housing cost element of Universal Credit to Local Housing Allowance (LHA) for any claimant in social housing is now available to be completed. After the data is analysed we will publish a report about what members think the impact of the proposals might be. 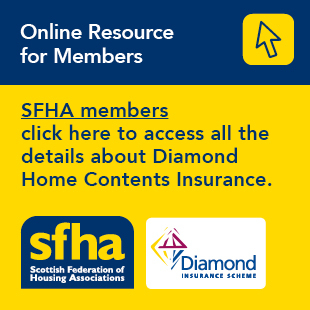 The SFHA will use the information you provide to press upon the UK Government the case for protecting benefit entitlement of the most vulnerable tenants housing associations provide homes for. For further information about the proposed LHA cap and the survey, please contact Policy Advisor Jeremy Hewer at jhewer@sfha.co.uk.